Get a crash course in the Disruptive Design Method for activating and initiating positive social and environmental change by design. This is the perfect starter book for anyone wanting to have a positive impact on the planet! Discover the unique creative method of activating positive social and environmental change by learning the tools and techniques of the Disruptive Design Method. 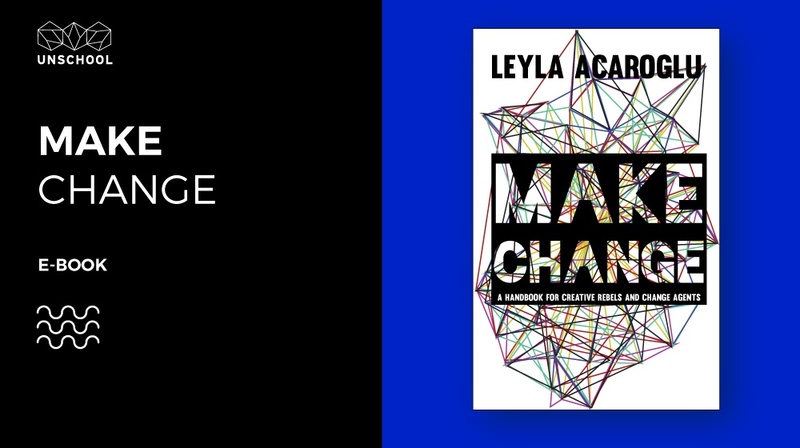 developed by Dr. Leyla Acaroglu and used by creative change-makers round the world to activate systems change for a positive future. Are you creative, eager to disrupt the status quo and passionate about making the world work better for all of us? This handbook will help you activate your agency, up-skill in change-making, and amplify your impact. Discover the unique creative method of activating positive social and environmental change through the Disruptive Design Method. 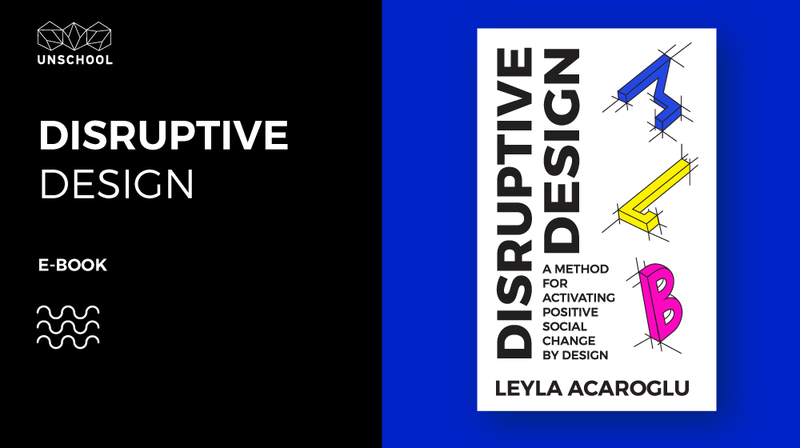 Developed by sustainability provocateur and creative protagonist, award-winning designer, sociologist, and UNEP 2016 Champion of the Earth, Dr. Leyla Acaroglu, the Disruptive Design Method is a holistic and substance-based approach to complex, creative problem-solving. The method combines sociological inquiry methods, sustainability strategies, systems and design thinking tools, which, together, can be employed to develop strategic creative systems interventions that enact social and sustainable change.